Hennessey Performance is building just three World’s Fastest Edition Venom GTs to celebrate the recent top speed run of 270.4 mph set at NASA’s Kennedy Space Center last month. The Venom also set the 0-300 km/h Guinness World Record. The Venom GT generates its incredible speed from a simple formula: huge power (1,244 horsepower), minimal weight (2,743 pounds). Its 7.0-liter twin-turbo V8 makes 1,244 horsepower on its highest boost setting. 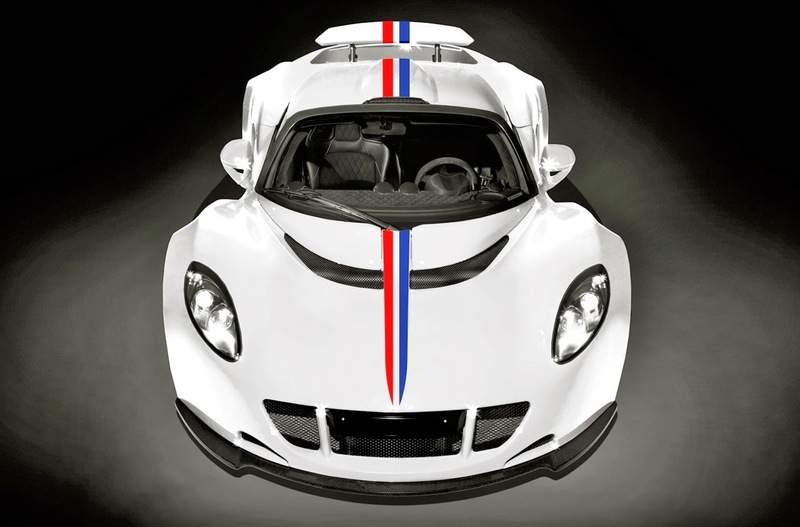 The Venom GT is not only the fastest series-produced road car; it’s also the quickest. It holds the Guinness World Record for standing-start acceleration, rocketing from rest to 300 km/h (186 mph) in just 13.63 seconds. Lightweight aluminum construction, carbon-fiber bodywork and featherweight carbon-ceramic brakes all make this extraordinary power/weight ratio possible. All three of the $1.25 million World’s Fastest Edition Venoms being built have already been spoken for, making the WFE not only the fastest but also one of the rarest supercars ever built.